Pavano ends his career with a 108-107, 4.39 record, some $70 million in earnings, a World Series ring with the 2003 Marlins, and with a great deal of affection from Twins fans to counterbalance the scorn from Yankees fans. And, hey, he was once traded for Pedro Martinez. He was also once traded for Yohan Pino. That was the trade that brought Pavano to the Twins in midseason 2009. Pino is back with the Twins as a non-roster invitee this spring. That makes Pino the equivalent to Pedro, right? Right? Last week I offered my personal top 15 Twins prospects list. A commenter a few days later asked why Jose (or J.O.) Berrios wasn't on the list. Answer: Because I messed up. I have revised the list, with Berrios at No. 7 ( I stuck him between Eddie Rosario and Jorge Polanco) and Travis Harrison sliding off the list. Will Leitch of Sports on Earth wrote this piece on why players change teams so often (his answer: because that's the way the owners want the sport structured financially). There are aspects of this I intend to explore with more thoroughness than fits in this NQC format, which I intend to be a series of quick hits, but I do want to note that Joe Mauer is tied (with Ryan Howard) for seventh among current players at 1,178 games. This is most games, one team. He'll climb up the list, obviously. OK, it's only batting practice. Batting practice in February, no less. But Kennys Vargas has caught a few eyes this week with his batting practice long balls. Now Kennys Vargas flips to the left side and hits one halfway up the light tower in RCF. No lie. Ball bounced 30 feet back into field. Batting practice or no, those are some serious shots. I've been to Hammond Stadium a few times, and I have yet to see a home run. Part of it is the wind -- it seems to blow in a lot, at least in March. So who is Kennys Vargas? He's a big (6-5, 275) 23-year-old switch-hitter out of Puerto Rico who plays first base, but apparently not particularly well. He spent last year at High A Fort Myers, where he hit 19 homers and put up a slash line of .267/.344/.468, which isn't exactly eye popping. But, again, Fort Myers isn't an easy place to put up numbers. It was his first full season in the minors. Vargas was in short season leagues until 2012, and that year he opened the season with a 50-game suspension for using a banned substance in an attempt to keep his weight under control. Since at the time he had most recently played for a short season team (Elizabethton), his suspension didn't begin until the Appy League started up. So he lost most of that year. He's not exactly on the fast track. But he is on the 40-man roster, and presumably he'll slide up to Double A New Britain this spring. His future with the Twins, if any, is almost certainly as a designated hitter. Joe Mauer's at first base, of course, and Vargas isn't mobile enough to move to the outfield. The Twins aren't real big on full-time DHs, but everybody likes hitters with light tower power. Miguel Sano has that. So does Vargas. What we don't know if if Vargas has anything else to his game that can translate in the major leagues. 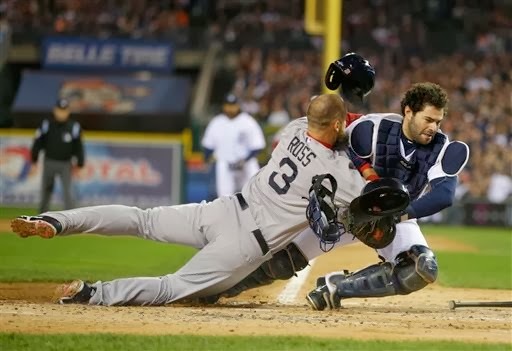 Boston's David Ross (3) and Detroit's Alex Avila. The new rule on home plate collisions, announced Monday, is an honest effort to eradicate a dangerous play. It's flawed, because it still permits catchers to block the plate and still permits baserunners to run into a catcher blocking the plate. Reportedly, the rules committee wanted a must-slide/can't block rule, under which the catcher must leave part of the plate open to the runner and the runner was required to slide in rather than body-block. The players union, citing a lack of time to retrain players — spring training is already underway — resisted that. 1) A runner attempting to score may not deviate from his direct pathway to the plate in order to initiate contact with the catcher (or other player covering home plate). If, in the judgment of the Umpire, a runner attempting to score initiates contact with the catcher (or other player covering home plate) in such a manner, the Umpire shall declare the runner out (even if the player covering home plate loses possession of the ball). In such circumstances, the Umpire shall call the ball dead, and all other base runners shall return to the last base touched at the time of the collision. The failure by the runner to make an effort to touch the plate, the runner's lowering of the shoulder, or the runner's pushing through with his hands, elbows or arms, would support a determination that the runner deviated from the pathway in order to initiate contact with the catcher in violation of Rule 7.13. If the runner slides into the plate in an appropriate manner, he shall not be adjudged to have violated Rule 7.13. A slide shall be deemed appropriate, in the case of a feet first slide, if the runner's buttocks and legs should hit the ground before contact with the catcher. In the case of a head first slide, a runner shall be deemed to have slid appropriately if his body should hit the ground before contact with the catcher. 2) Unless the catcher is in possession of the ball, the catcher cannot block the pathway of the runner as he is attempting to score. If, in the judgment of the Umpire, the catcher without possession of the ball blocks the pathway of the runner, the Umpire shall call or signal the runner safe. Notwithstanding the above, it shall not be considered a violation of this Rule 7.13 if the catcher blocks the pathway of the runner in order to field a throw, and the Umpire determines that the catcher could not have fielded the ball without blocking the pathway of the runner and that contact with the runner was unavoidable. It's difficult to see, frankly, how a non-sliding player is going to collide with a catcher without incurring a violation of 7.13. No lowering of the shoulder, no pushing with the arms ... pretty much every collision I can recall seeing involved some aspect of that. This might work — if the umpires take a strict view of what it means for the catcher to be in possession of the ball. But part 2 of the rule, allowing the catcher to block the pathway to field the throw, looks like a continued license for the Mike Scoscia-style play of setting up to block the plate while waiting for the throw to arrive. Prohibiting the runner from defending himself in that collision protects the catcher — but it puts the runner at risk. Another factor in all this: the penalty for violation may not be severe enough. A catcher blocks the plate illegally? The runner is awarded the run, which is what presumably would have happened had the catcher not committed the violation. A runner slams into a catcher? He's ruled out — which, presumably, would have been the result had he not run into the catcher. The rule — much like the replay rule — is a one-year experiment with a planned formal review. My guess is that eventually must-slide/can't-block will be installed. I just hope it doesn't take some broken baserunner legs for it to happen. 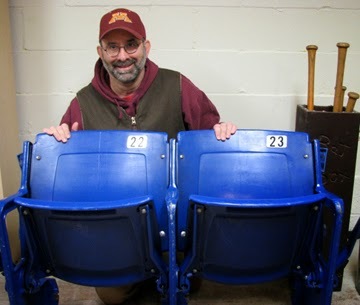 The author props up the two Metrodome seats. One day after a tricky portion of the Metrodome demolition was handled with an explosion, my wife finally and officially took possession of our Dome seats. These seats are supposed to be Section 227, Row 22, seats 22 and 23. The seat numbers are easy enough to verify; in truth, they could be from any section or row and we'd never know the difference. Now that we finally have the seats, the questions remain: How are we going to stand them up? They don't have legs, per se; they have brackets to be bolted into the concrete steps of the dome. (Update: Turns out she has that planned.) And once we solve that issue, where should they go? I have proposed the backyard patio; she thinks the basement. Since this is largely her project, she will likely carry the day on that. Of course, as one of my co-workers said weeks ago when I was describing the purchase, to get the true Metrodome effect we would need to put them in the TV room at an odd angle to the TV so that we'd get a crick in the neck. wasn't as lucrative as he expected. Earlier this month I cited Nelson Cruz's free agency travails in discussing why the trade market for Josh Willingham might be limited this summer. At that point, Cruz was still on the market. Last week, Cruz signed a one-year deal, worth (depending on bonuses) between $8 million and $9 million, with the Baltimore Orioles. Cruz had at the start of the free agent season rejected Texas' qualifying offer of $14.1 million for one year, but he clearly overestimated his appeal to the market. Now, Willingham and Cruz aren't perfect matches. Cruz is two years younger. His home run production has been more consistent than Willingham's. Cruz has also spent his career in much more hitter-friendly home parks than Willingham has; Willingham draws more walks and thus has a higher on-base percentage, and, of course, Cruz served a 50-game suspension last year because of his involvement in the Biogensis PED scandal. Still, the two have a similar skill set: Slow right-handed sluggers with little defensive value. But from here, Willingham looks like the better player, and certainly the better contract. it known: He's an infielder, not a pitcher. Gregorio Petit is 29, and he has just 56 major league at-bats in his career, none of them since 2009. So he's far from a household name. But even a nonroster invitee to training camp might feel a little dissed to find at Photo Day that the team doesn't know what position he plays. 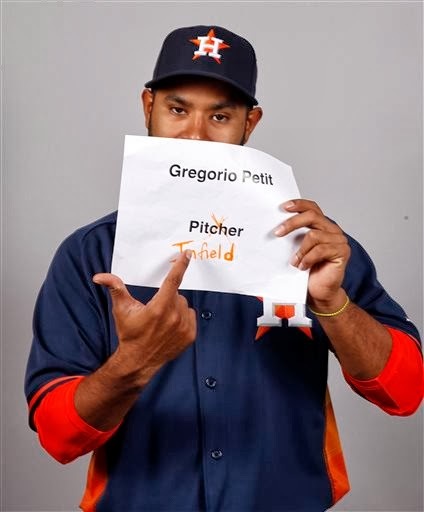 Or maybe this was the Astros' way to tell him they plan a position change for him. retaliate against two draftees who choose not to sign. The NCAA is a jackass. So, too, the Philadelphia Phillies. The NCAA's silly rules prohibit college baseball players from having "agents" represent them when drafted by professional baseball teams. They do permit "advisers." The idea, somehow, is that amateur purity is maintained when the player himself talks to a scout about a potential contract but is forever sullied if an agent does. This arrangement is widely ignored and paid no more than lip service. Drafted players have agents, and they talk directly with teams, and everybody except the NCAA knows it's for the better. So ... this week Baseball America reported that the Phillies reported to the NCAA that two collegians they drafted and failed to sign, Ben Wetzler of Oregon State (fifth round) and Jason Monda of Washington State (sixth round) violated the agent/adviser rules. Monda has been cleared to play; Wetzler on Friday was suspended for 20 percent of OSU's schedule. The real puzzle is what the devil the Phillies were trying to accomplish. Presumably they were unhappy that they drafted these players and couldn't sign them. It happens. Trying to sabotage their collegiate eligibility in retaliation is just a spiteful, bullying move. It helps nobody. It hurts everybody, and especially the Phillies. The Phillies may well, as a result of this, find their access to players limited by coaches and agent/advisors. Agent/advisors are likely to recommend to their clients/advisees that the Phillies be shut out of the permission, routinely granted, to see medical information. (I'd seen that suggested, but Jim Callis of MLB.com tweeted Saturday that this is all or nothing.) Once you get a reputation for bad faith, it sticks; and this is the epitome of bad faith. Reporting players to the NCAA is not in the best business interests of the Philadelphia Phillies. ... The Phillies gain nothing from this -- no savings, no leverage -- and potentially damaged relationships with players, agents and schools as a result. The move could prove extremely damaging. 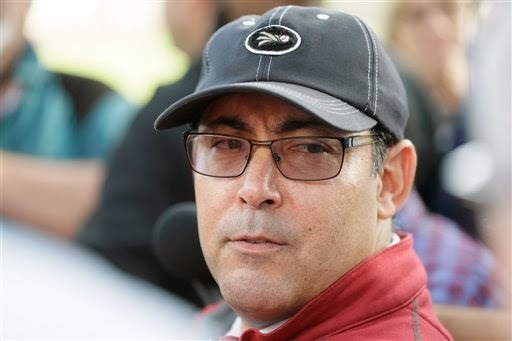 And Amaro (general manager Ruben Amaro Jr.) referring questions to Wolever (scouting director Marti Wolever) isn't much better. You're the GM, and the buck stops with you. Actually, nobody from the Phillies has been willing to defend the decision to report Wetzler. They've been mute even as the baseball media uses the Phillies as a punching bag. It gives the impression that Amaro and Co. are surprised by the criticism. Maybe it was a scout gone rogue and the bosses didn't know what he was doing. Maybe the bosses made the call and didn't think anybody would care. Neither possibility speaks well of the organization. Amaro seems, in many ways, to be in over his head. This may not be as high-profile a misstep as, say, the Ryan Howard contract, but it does speak to an organization in need of thoughtful leadership and a sense of responsibility as opposed to impulsive action and incompetence. This is something I started doing last year: My own ranking of the Twins prospects. As I said then, this is essentially a mashup of other people's work. I've personally seen a very limited number of these players, and those I have seen, I've seen only in a limited amount of action. Looking back on last year's list, I am pleased with the ordering at the top — I was ahead of the curve in ranking Byron Buxton above Miguel Sano, and I went with Oswaldo Arcia and Alex Meyer above Aaron Hicks and Kyle Gibson, which wasn't obvious a year ago — and considerably less happy with the guys I had 11-15. Baseball America on Wednesday released its Top 100 list, and "only" four Twins prospects made that list. This is fewer than made some other overall lists, and I am inclined to the more cautious BA appraisal of the system. To get higher than four — even to get to four — requires taking some leaps of faith on teen-aged pitchers and the ability of some players to handle key defensive roles. I've said throughout ranking season that Pinto — a major-league ready bat who can at least pretend to catch — ought to rate higher than most lists have had him. I deliberately depressed the rankings for Stewart and (especially) Thorpe on the basis that they are teen-age pitchers. I would have Rosario higher than Stewart if Rosario weren't starting the season with a suspension and/or we knew for sure he's going to be a second baseman. If I knew May's command will be strong enough to start, he'd rate at least three notches higher. As a bullpen guy, he's no better than Tonkin. But he has a chance to start, so he goes ahead of Tonkin. I give major league proximity a bit more weight than most of the ranking outlets. 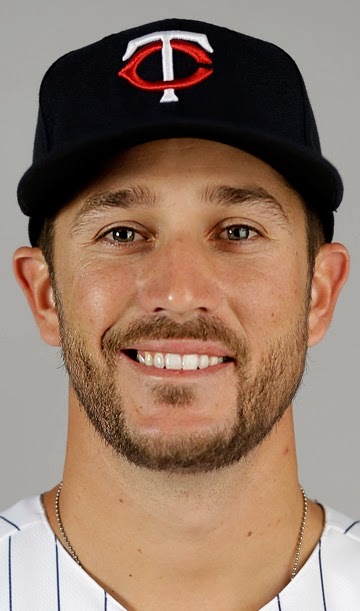 Tonkin doesn't have Thorpe's ceiling, but Tonkin, who already has major league service time, is more likely to play in the majors this year than Thorpe ever is. And Polanco over Santana probably deserves more than one sentence of explication. As I see it, Santana has the stronger set of tools — nobody's talking about moving him off shortstop — and he's two levels of competition ahead of Polanco. Polanco is more than two years younger than Santana and shows more signs of turning his tools into actual skills. In particular, I really don't like Santana's grasp of the strike zone. This is less systematic than arbitrary, but I give Polanco a 50 percent chance of becoming a quality major league second baseman, and I give Santana a 20 percent chance of becoming a quality major league shortstop. On that basis, I put Polanco ahead of Santana. Baseball America's new Prospect Handbook projects the Cedar Rapids pitching staff to have six of the Twins top 22 prospects. That sounds mighty impressive. But I have my doubts about that projection. Consider the ages of the six pitchers involved: Kohl Stewart (No. 4 on the Twins list), Lewis Thorpe (7), Fernando Romero (12), Stephen Gonsalves (13), Felix Jorge (17) and Randy Rosario (22). Five of them are teenagers (Jorge is 20). The Twins did have J.O. Berrios (age 19) spend the entire 2013 season at Cedar Rapids, but it would not surprise me a great deal if they opted to keep one or more of the five teens listed above out of a full-season league, especially one with the early-season chill of the Midwest League. The most likely to be held back might be Thorpe, who is a mere 18 and pitched during the offseason in his native Australia. Then there's last year's prominent collegiate draftees Ryan Eades (second round) and Aaron Slegers (fifth round). Eades and Sledgers pitched their minor league ball at short-season Elizabethton; the next step on the ladder is Cedar Rapids. It's possible the Handbook writers assume they'll skip Low A and advance to High A Fort Myers. That would make a certain amount of sense; the other six are younger and spent 2013 at a level below Elizabethton. It's arguable that Eades and Slegers shouldn't have been at E-Town last year, but the Twins are seldom aggressive with pitchers, even comparatively advanced ones. My guess is that Eades and Sledgers will open at CR, not at Fort Myers. Mike Berandino of the Pioneer Press had an item Monday: Josh Willingham's agent says the outfielder is eager to re-up with the Twins and finish his career in Minnesota, "but nothing's ever been discussed." Nobody should be surprised that Matt Sosnick is angling for an extension for his client already, or that the Twins are not jumping at the opportunity. One of my pet theories on free agents is that the guys who start campaigning for an extension with a year left on their deal are the guys to stay away from. They're the guys who can feel the game slipping a bit from their grasp and have a legitimate fear that their upcoming season will likely hurt their value in the market. Better to get what you can now. Willingham is 35 (his birthday was Monday). He was never fast, and he's coming off knee surgery. And he and Sosnick must have taken note of how little interest there's been in free agency this year for Nelson Cruz, another right-handed corner outfielder with power and limited defense. Willingham and Cruz are not perfect matches, to be sure. Cruz's market is held down by the draft-pick compensation attached to him, by his link to performance-enhancing drugs, by the fact that, having turned down a $14 million qualifying offer, he's looking for at least twice Willingham's current salary. These are all reason Cruz remains unsigned. Still, it figures to be a daunting market for Willingham next winter. One cannot blame him for hoping the Twins will bite early. But given the wealth of outfield prospects in the Twins system, and the limitations to Willingham's game and expectations, one also should not expect the Twins to take the bait. A sign of spring (training) in Fort Myers. 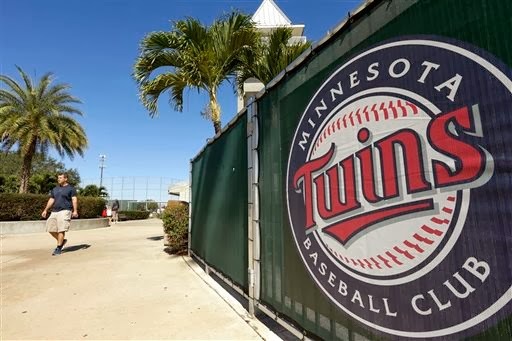 The Twins, or at least the pitchers and catchers, held their first official workouts of the spring Monday in Fort Myers, Fla. As usual, Day One brought news of previously undisclosed ill health. Most prominent: Regular shortstop Pedro Florimon had his appendix removed Monday in a minimally invasive manner. He'll be out a couple of weeks. Considering that position players don't officially start for another week, this isn't likely to be an issue. Meanwhile, Ron Gardenhire declared that Florimon is his shortstop. Had the manager made that statement a few weeks ago, he would have saved this blogger the mental exertion required to generate this analysis of the possibilities for the position. Edgar Ibarra, a 24-year-old lefty reliever from Venezuela who was added to the 40-man roster early in the offseason in a move to keep him from becoming a minor league free agent, was diagnosed a few weeks ago with Hepatitis B. He didn't throw his scheduled bullpen and will be limited for a while. Ibarra had a strong 2013 split between Double A and Triple A, a season markedly better than anything he'd had before, but he wasn't particularly likely to crack the Opening Day roster even if healthy. Which he isn't. Jason Kubel with Arizona last season. It was not a good year. Oswaldo Arcia is Jason Kubel a decade ago: Left-handed hitting corner outfielder, not particularly adept defensively, a bit overlooked because of a pair of brighter rising talents. In Kubel's case those talents were Joe Mauer and Justin Morneau. In Arcia's, they're Byron Buxton and Miguel Sano. Kubel never achieved quite the level of performance expected. A big part of that was the devastating knee injury he suffered in the Arizona Fall League. That injury took away what speed was part of his game. To what extent it limited his hitting is more difficult to tell, but Kubel never hit lefties at all. And now Kubel, age 31, prepares to report to Fort Myers on a minor-league, make-good contract. He's coming off a injury-troubled 2013 in which he hit .216/.293/.317 with Arizona and Cleveland, and coming off a winter in which he presumably drew no major-league offers. 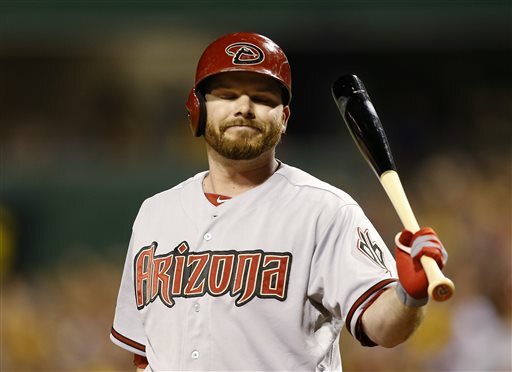 How else to explain his return to Target Field -- a hitting environment he was known to dislike -- on a minor-league deal? He's still the favorite to open the season with the DH job. The odd thing about that is that Kubel is probably a better defensive outfielder than either Josh Willingham or Arcia. But Arcia should be given the opportunity to grow, and my guess is that Willingham as an outfielder will have more trade value in midseason than Kubel as an outfielder will. Kubel now has almost no value, hence the minor-league deal. If he doesn't hit in 2014, he might not get another shot anywhere. No, I don't know what Joe Nathan's doing. And no, I don't particularly care for the Tigers' spring training caps. The white Olde English D on navy is about as close to perfection as baseball caps get, and why tinker with it? But hey, baseball's back, at least the spring training version of it. And after all of Saturday's snow shoveling, even the realization that Nathan's with the Tigers now is a welcome sight. The Sunday Funnies are gone for the season — you can view them all here — and the Monday print column resumes ... Monday. Spring is coming. I'm sure of it. 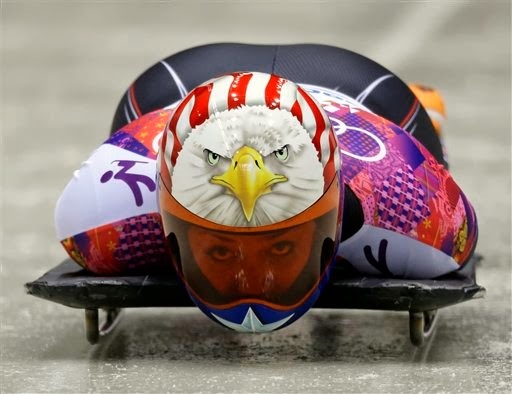 Katie Uhlaender fell just short of a medal -- four hundredths of a second -- in the women's skeleton Friday at the Winter Olympics in Sochi, Russia. Her father, Ted Uhlaender, was a Minnesota Twins outfielder when I started paying attention to the game, and later a coach and scout before his death in 2009. The bond between father and daughter was, by all accounts, deep. It's pretty much impossible to imagine Katie Uhlaender, world-class slider, without the influence of Ted Uhlaender, journeyman center fielder. And all the stories about the Uhlaenders and how his old baseball cohorts pulled her out of her depression after his death led me to review Ted's career. Uhlaender the baseball player had eight seasons in the major leagues, five of them with the Twins. He hit .288 in the pitcher-dominated 1968 season, which was fourth in the American League (the league as a whole hit .230 that year). But hitting for average was pretty much the extent of Uhlaender's offense — he had little power and drew few walks, not that many people paid much attention to hitter's walks back then. 1968 was the only season in which Uhlaender's OPS+ was above league average. I started paying attention to baseball the following year, 1969, Uhlaender's last with the Twins. It was, in retrospect, an interesting outfield Billy Martin had: One superstar and a lot of moving parts. Right fielder Tony Oliva was the superstar and outfield anchor. Right field in 1969 was loaded: There were 24 teams, and the regulars included Hank Aaron, Frank Robinson, Pete Rose, Reggie Jackson, Roberto Clemente and Al Kaline. Oliva didn't last as long as any of those six legends, but in his brief prime (which definitely included 1969) he didn't take a back seat to any of them. Uhlaender got the majority of the center field time and also played some in left. He was probably the best defensive outfielder on the roster and hit a fairly empty .273 in 150 games. Oliva, Tovar and Uhlaender each played in at least 150 games, but Martin also found more than 250 at-bats each for Nettles and Allison. (Remember, there was no designated hitter back then.) Part of it was Tovar and Nettles' ability to play in the infield, and part of it was Martin mixing and matching. The Twins traded Uhlaender and Nettles that winter to Cleveland as part of a package that brought Luis Tiant and Stan Williams to Minnesota. The two veteran pitchers combined to go 17-4 for the Twins in 1970, but that was the only season they helped, while losing Nettles would hurt for a long time. Uhlaender played two years with the Tribe, then played a bit role on the 1972 Cincinnati Reds, who went to the World Series and lost in seven games to the Oakland A's. That was Uhlaender's last season in the bigs. Comperable recent Twins players to Uhlaender? Alex Presley seems like it as a hitter, but Uhlaender was probably superior as a defensive player. Katie Uhlaender is 29, and says she's now going to focus on making the U.S. Olympic weightlifting team. Ted Uhlaender, according to Baseball Reference, was 29 in his final season with the Twins. but he should be allowed to play through them. Oswaldo Arcia spent much of 2013 bouncing around. Rochester to Minnesota for location, lineup to bench for role. He's just 22 — turns 23 in May — and despite 378 major league at-bats last year, he's hardly established himself. His .251./.304/.430 slash line was marred by an awful strikeout rate (117 K's, a rate of almost 31 percent). The strikeouts often came in discouraging bunches, leading to benchings and demotions. My hope for 2014 is that Ron Gardenhire will simply stick Arcia in a power slot of the lineup — I would prefer it be cleanup, but I'll accept fifth — and let him play through the slumps. Arcia is the one corner outfield candidate this spring who figures to have a role on the next good Twins team. This is the year to get him established. This is one case where Gardy's disdain for platoons is a unalloyed plus for the Twins. Arcia hasn't hit lefties in the majors, but his exposure to them is limited. He young, he's high-ceiling. Earl Weaver wouldn't platoon him at this point, and Weaver looked for reasons to platoon players. Gardenhire is the opposite — he looks for reasons not to platoon, and sometimes finds reasons that don't really exist — and that frequently hurts the team. It doesn't in this case. Arcia's got to play to find his future. Whether that future is as an outfielder or a designated hitter is uncertain. The Twins are typically reluctant to have a regular DH, all the more so when the projected DH is a young player, as Arcia is. For this year, at least, it makes sense to play him regularly in the outfield, if only to see if he can get better in the field. He was atrocious last year -- worse, according to the defensive metrics I pay attention to, than Josh Willingham -- and I know of no good reason for him to be that bad. There are other young outfielders in the organization, however, and if Arcia hits the way his minor league track records suggests he will, he'd be worth playing as a pure DH. First he has to hit, however. And if he's given consistent playing time, he will. The Twins on Wednesday claimed left-handed pitcher Brooks Raley off waivers from the Cubs. Raley is 25 and has 38.1 major league innings on his resume, garnered over the past two seasons. His fast ball velocity has diminished since he was drafted by the Cubs, and he apparently relies a lot on his breaking ball. He has been almost strictly a starter in the minors, but his major league innings last year all came in relief. He fills, at least for now, the spot on the 40-man roster that was vacated when the Twins released Andrew Albers to allow him to sign with a Korean team. Assuming that Raley is out of options, I think it's quite likely that the Twins will try to slip him through waivers themselves with the intent of using him as a starter in Triple A -- the role Albers was ticketed for. If he does have at least one option left, the Twins won't have to take that risk (unless and until they need the roster spot). Either way, he figures to be organizational depth, not a realistic major league option -- at least not as a starter. As a reliever, a southpaw who can "spin it" -- a Ron Gardenhire way of referring to a slider or curve -- has a chance to be a LOOGY. Derek Jeter stretches those 39-year-old legs. Derek Jeter announced Wednesday that this will be his final season. This is hardly a shocker. He had a difficult time trying to return last year from his 2012 ankle injury, and nobody can be sure what he's going to provide the Yankees this year. For some reason, the idea that Jeter is about to depart the scene makes me feel old, far more than other retirements have. (That I am old is immaterial to this point.) It's not that it seems like Jeter's always been there -- it's more that it feels to me as if he just arrived. Which is silly. Jeter's been an October fixture for almost two decades, and, as I said in a Monday print column a few years ago, I view him as the second greatest shortstop in major league history. Nothing he does this year will move him up or down that list. 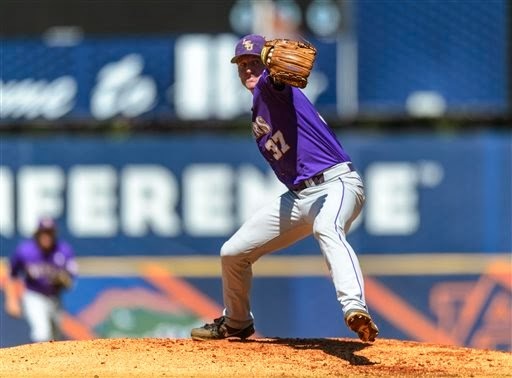 Ryan Eades pitched collegiately for LSU. Baseball America's ranking of the Top 30 -- really, 32 -- Twins prospects is notable in a sense for the names not there. Ryan Eades, for example. He was the Twins second-round draft pick last June. The third-round pick, catcher Stuart Turner, is in the book at No. 30. 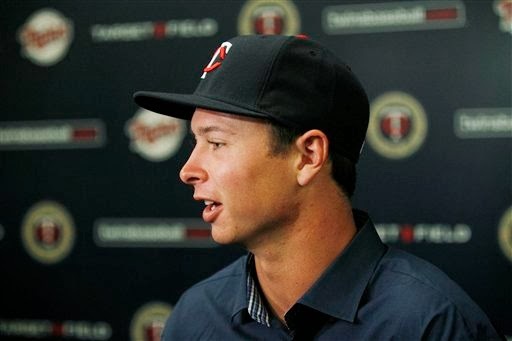 The fourth round pick, left-handed pitcher Stephen Gonsalves, is in the book at No. 13. But Eades isn't. With J.T. Chargois listed as the 31st prospect in the bonus supplement and Sean Gilmartin ranked among the Atlanta Braves prospects, there are at least 17 pitching prospects Baseball America ranks above Eades, including a half dozen age 20 or younger. When it comes to pitching prospects, the more the merrier; they have a frighteningly high attrition rate. It's just .. odd ... to see a second-rounder not listed in the Top 32. But this hardly means Eades is not a prospect after fewer than 16 professional innings. I'm not sure the same can be said for a pair of first round picks whose careers have floundered. Right-handed pitcher Alex Wimmers, who the Twins took with the 21st overall pick in 2010, threw just 15 innings last year. Infielder Levi Michael, another collegian (30th overall in 2011) has hit just .239 in 211 games in High A and played himself from shortstop to second base. Neither is in the Handbook. Neither should be. It's not certain (yet) that these were busted picks, but it sure looks that way. In case anybody thinks I should be mentioning Kyle Gibson in this context, Gibson "graduated" from prospect status last year with 51 major league innings. Gibson is in that awkward space somewhere between "prospect" and "established big leaguer." He's got a better chance than Wimmers or Michael to justify his first-round pick, but he'll never be good enough to justify (in retrospect) being drafted ahead of Mike Trout. a disaster for the rookie. There will be two kinds of center fielders in the Twins spring training camp. One kind is Bryon Buxton. The other kind are the placeholders, the ones whose longer term purpose is as bench guys or as a marginal corner outfielder. The placeholder candidates for center field are Alex Presley, Aaron Hicks and, although he's not now on the 40-man roster, Darin Mastroianni. A recent SB Nation piece — a real hype-feeder — suggests that Buxton could, right now, hit .260 in the majors, steal 30 bases and play Gold-Glove level defense. I am quite certain of the latter and regard the other two assertions as genuinely possible. And if those three projections are accurate, Buxton would be the best center fielder for 2014 the Twins have. Even if true, that doesn't mean he should get the job. The problem, of course, is service time. Bring Buxton up now, and the service time clock starts ticking while he's still developing. Another year of seasoning and growth means that the Twins will get more bang for their buck when he arrives. Patience is not an easy sell, but it's still the wiser course. Realistically, the spring battle is between Presley and Hicks. Hicks has the higher ceiling, but the mystery is: After last season's debacle, it's difficult to see what he can do in spring training to win the job. Remember, Hicks had a sensational spring last year. Then the season started, and he. Didn't. Hit. And his game didn't get any better when the Twins sent him to Triple A. Even if he has a sensational spring this year, why would we buy into it? Hicks has the higher ceiling, Presley the higher floor. My guess is that Presley will get the center field job to open the season. He'll hit leadoff, provide an empty batting average and mediocre defense and be easily shoved aside when the time comes for Buxton. Hicks should go to Triple A and earn his next shot. Presley's role on a good team, at most, would be as a fourth or fifth outfielder, a bench guy. Mastroianni has the same ceiling, but at this point has to demonstrate that last season's ankle injuries haven't robbed him of his speed. Hicks could be, should be, a regular center fielder somewhere someday, but it won't be in Minnesota. He'll have to hit better than he has to be a center fielder, and a whole lot better to be a corner outfielder. 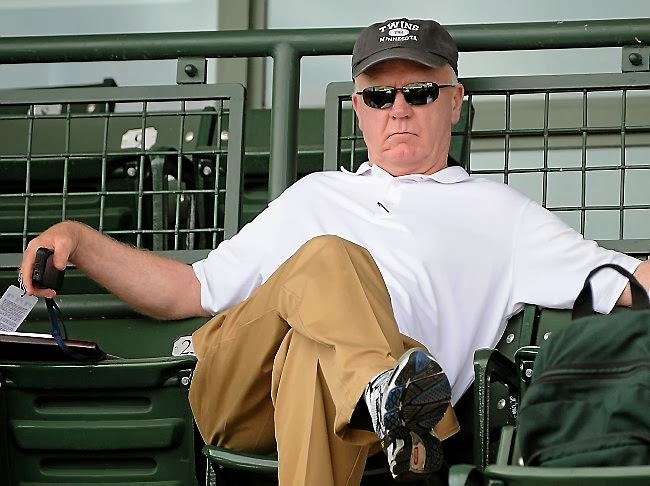 Terry Ryan, general manager of the Minnesota Twins, announced today that he is undergoing cancer treatment and will not be going to Fort Myers for spring training. At least not for the start; the statement's wording does not preclude an eventual arrival. Skin cancer would figure to be an occupational hazard of baseball scouts, and Ryan said he has squamous cell carcinoma, a form of skin cancer, in his neck, but it apparently in a lymph node. His statement says it has not spread and is treatable, so presumably this is not something that will force him out of the job. Also presumably, this underlines one of the advantages of the Twins baseball ops stability. Ryan's lieutenants -- assistant general manager Rob Antony, special assistant Wayne Krivsky, manager Ron Gardenhire, farm director Brad Steil -- know the plan, know the philosophy, know the expectations. There will be plenty of consultations and discussion, and even if Ryan is too indisposed on occasion to deal with things, his aides can handle things. Still, having Ryan out of the picture this spring (assuming he's not in Florida at all for training camp) does not figure to benefit the team. 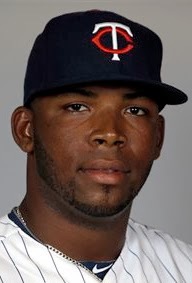 I would think, for one thing, that it sharply reduces the chances of a "bold" decision this spring -- such as deciding that Miguel Sano is ready for the show now. Sano is not, and was not, likely to come out of camp with the third base job, but it it were to happen, Ryan would have to be enthusiastically on board. That's unlikely if he's not there to monitor the situation. overall pick in the draft. 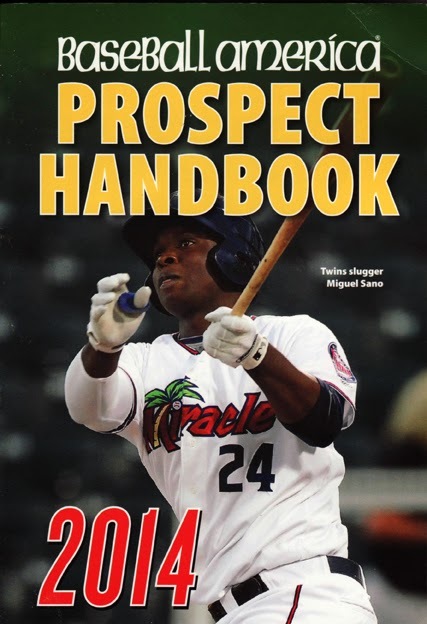 In truth, the Twins have 32 prospects profiled in the Handbook. Sean Gilmartin, the former first-round draft pick the Twins got from Atlanta in the Ryan Doumit deal in December, is listed with the Braves, as their No. 10 prospect. Discovering that over the weekend led me to wonder where Gilmartin would fit in the Twins' rankings. BA graded the lefthander as a 45 Medium. A 45 pitcher translates as a backend starter or a middle reliever; the book's definition portion cites Kevin Corriea and Matt Guerrier as examples of 45 pitchers. The Medium means he "still has some work to do to turn tools into major-league caliber skills." BA essentially regards five points of ceiling as equivalent to one step of risk, so a 45 Medium equals a 50 High equals a 55 Extreme. The Twins prospect list has 50 Highs from No. 8 though No. 11 (Trevor May, Danny Santana, Jorge Polanco, Max Kepler), followed by a 55 Extreme (Fernando Romero), another 50 High (Stephen Gonsalves), two 45 mediums (Josmil Pinto and Mike Tonkin), three more 50 Highs, then another 45 Medium, then a 50 High ... all told there are 13 prospects for the Twins in the same bracket as Gilmartin. Given the BA list, I would slot Gilmartin at No. 16, after Tonkin but ahead of Adam Brett Walker. BA might differ on that. It's late in spring training, 1961. The newly-minted Minnesota Twins are in Orlando, Fla., and a big March snowstorm hits the Twin Cities. Calvin Griffith wakes up to an Orlando Sentinel front page featuring a photo of Metropolitan Stadium buried in snow. Calvin, not yet used to Minnesota weather, is dismayed. He tells the Minnesota writers they won't be able to play for a month. One of the writers tells Griffith it's not that bad. You can bring in a couple of jet engines to dry out the field, he tells the club owner. Griffith eyes the scribe skepically. "How are you going to land a jet in there?" for the fourth straight season. Ralph Kiner, Hall of Fame slugger and 53-year broadcaster, died Thursday. It took Kiner twice as long to get into the Hall of Fame (20 years) as he actually played (10 seasons). When he was elected, it was without a vote to spare on his 15th and final time on the writers' ballot. The brevity of his playing career for a hitter of his quality (he led the National League in home runs seven straight seasons) is at the least unusual, and may have had something to do with how long it took him to gain admittance to Cooperstown. But a bigger factor might have been the flaws in his skill set -- Kiner couldn't run, field or throw -- and the criticism/abuse he took as a result. Branch Rickey took over as Pirates general manager after Kiner had established himself as a slugging star on a bad team. Rickey, probably the shrewdest judge of baseball talent ever, quickly decided he wanted -- no, needed -- to trade Kiner. 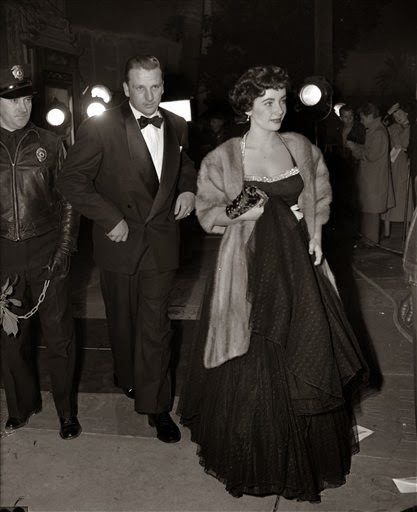 The Pirates' owner, however, saw Kiner as a necessary gate attraction. And Rickey began to tear down Kiner's reputation. "A team with eight Ralph Kiners," the Mahatma declared, "would finish last in the American Association." And it might. A team with Ralph Kiner at shortstop -- well, you might as well play my beagle there. My dog can't throw at all, and has little interest in chasing a ball to begin with. Ditto Kiner. Bill James has suggested that Rickey was pressuring the owner to allow him to deal Kiner for a big block of young talent. (By the time the owner relented, Rickey's downgrading of Kiner had largely wrecked his trade value) Joe Posnanski figures the always penurious Rickey was angered by Kiner's salary demands (it was Kiner who uttered the famous phrase, "Home run hitters drive Cadillacs, singles hitters drive Fords."). Both make good points. But there's also this: You look at the previous teams Rickey constructed and operated -- the powerhouses in St. Louis and Brooklyn -- and you won't find a Kiner type in the outfield. Rickey's outfielders could run and throw. Kiner couldn't. Rickey's rosters frequently had outfielders who were the exact opposite of Kiner, guys like Taylor Douthit and Terry Moore, who were brilliant defensive players and subpar hitters. Rickey was gone by the time his work in Pittsburgh resulted in the 1960 World Series winner, but that Pirates outfield (Bob Skinner, Bill Virdon and Roberto Clemente) had no Kiner types. Virdon, the centerfielder, was a defensive whiz who just hit enough to play; Skinner's offense was largely built around batting average; and Clemente was Clemente, a multi-skilled superstar. Rickey's tryout camps opened with a 60-yard dash; players who didn't meet a specific time didn't even get a chance to hit. Rickey wouldn't have signed a Ralph Kiner. Kiner was the highest level of an outfield type that was prevalent in the 1950s: Lumbering power guys. They were to be found in the lineup of almost every team -- except the really good ones. Stengel's Yankees didn't have them. Durocher got rid of them when he took over the Giants. The Dodgers, running on the system Rickey built, didn't have them. Kiner played on just two winning teams in his career: 1948, when the Pirates went 78-76, and 1955, his one season with the Cleveland Indians, when the Tribe won 93 games -- which was a drop off of 23 wins from the previous season. Rickey, again, on Kiner: "We finished last with you, we can finish last without you." Blaming Kiner for his teams' poor performances isn't completely accurate. But neither is absolving him of the blame. The Kiner Kontroversy is echoed today. Adam Dunn, for example, although left-handed, is very much in Kiner's mold. Dunn draws lots of walks, hits home runs, is useless in the field. (Kiner had some .300 batting averages, and Dunn never will,) There are sabermetric types who will tell you that Dunn has been a great hitter and a valuable player. But he's played for three organizations, and none of them won anything. And the Twins have a Kiner type in left field, Josh Willingham. Willingham isn't up to Kiner's level, of course, but it's the same basic skill set. Willingham has never been on a team with a winning record. This is not to say that players of this ilk automatically doom a team. But all the gaudy power numbers mean a bit less, sometimes a great deal less, with all the other flaws. the cover boy for the Handbook this year. My copy of Baseball America's annual Prospect Handbook arrived Thursday. The publication's Top 10 Twins prospects was released last month, and I commented at the time about the absence of Josmil Pinto, who I figured should be no lower than No. 5. He is No. 14 on BA's list. They're clearly unimpressed with Pinto's defensive skills behind the plate, and wary of the recurring shoulder issues that hampered him in midseason and during the winter. The Cedar Rapids club, in the Low A Midwest League, figures to have a loaded starting rotation. The Handbook projects Kohl Stewart (No. 4 on the Twins list), Lewis Thorpe (7), Fernando Romero (12), Stephen Gonsalves (13) and Felix Jorge (17) as Kernels starters this season. Plus there's Randy Rosario (22), who the book predicts will be used as a swingman. Nine of the 31 players BA ranks for the Twins (30 in the book and one more in the "bonus supplement" that goes to those who buy from the BA website) were signed out of the Dominican Republic, not bad for an organization that only recently made much of an effort there. Two of them (Lewin Diaz, No. 21, and Roni Tapia, No. 29) have yet to play pro ball on any level. Bryon Buxton got a 75-Low grade. BA uses the 80-20 scale common in baseball scouting, with 80 being top of the chart, and adds a "risk factor" — Low, Medium, High and Extreme. Buxton's 75 is the high score in the book, and he's one of the very few Low risk players profiled. Cover boy Miguel Sano is a 70-Medium. BA rates the Twins third in overall minor league talent, behind Pittsburgh and Boston. All four of BA's evaluators have the same top three overall prospects: Buxton No. 1, followed by Boston shortstop Xavier Bogearts and St. Louis outfielder Oscar Taveras. Sano rates from No. 4 to No. 10. Alex Meyer made two of the evaluators' top 50 list, Stewart one list. We know this: Josh Willingham, if healthy, will be the Twins left fielder to open the season. Whether he will be there at season's end is another matter. Willingham turns 35 this month, and this is the last year of his contract. Outfield is one of the minor league system's strong suits, and I don't expect the Twins to make a strong push to retain him past 2014. Even healthy, he may not be particularly valuable. He doesn't help a team in the field or on the bases, and his offense is basically limited to the long ball. Power is a valued commodity, of course, and if the Hammer is healthy and productive this summer, there might be a trade market for him. That's the best case scenario for the Twins with him: That he's fully recovered from last year's knee injury and hitting well into the summer, making him a useful trade chip. But we shouldn't delude ourselves into believing that he could be traded for a high-end pitcher, or even a high-end prospect. 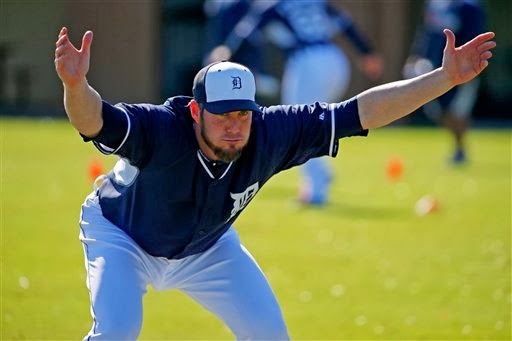 At his best, Willingham is a flawed player, and there's a limit to what teams will surrender for a two- or three-month rental. OK: Say the Twins do move Willingham in July. Who's in line to take the job? One possibility would be that this is the trade that opens a lineup slot for Miguel Sano. Trevor Plouffe moves from third to the outfield, and Sano steps in at third. A non-Sano possibility — or a non-Plouffe one — would have Chris Parmelee or Chris Colabello gaining playing time, Parmelee most likely as an outfielder and Colabello as a DH, with Kubel playing in the field. And there's Aaron Hicks. He may not open the season in the majors, but in that case he may well be a mid-season callup. 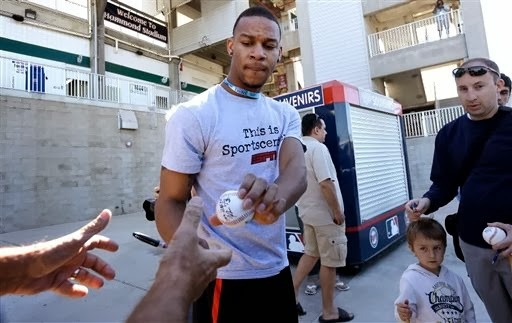 There's also the possibility that Byron Buxton will pull a Mike Trout and so dominate Double A that the Twins feel compelled to bring him to the bigs ahead of their preferred schedule. All this, of course, assumes that Willingham is productive enough that somebody else will want him for the stretch drive. That's not guaranteed. not in the outfield, and when he's not playing quarterback. Not everybody is sold on Winston as a baseball prospect — Keith Law of ESPN has been dismissive of the notion on Twitter — but BA touted him as a high schooler, and describes him now as a potential first round talent as either a pitcher or an outfielder. It's also worth noting that its All-American teams are derived via a poll of MLB scouting directors. To be fair to the skeptics, they don't doubt his tools so much as they doubt that he will develop the skills needed to be a true baseball player, as opposed to an impressive athlete playing baseball. Playing quarterback is Winston's day job. Baseball is a hobby (to reverse Bo Jackson's description of his NFL days). There's a lot of nuance to high-level baseball, and he's just not going to have the opportunity to develop in the sport on a part-time basis. Winston will be eligible for the baseball and football drafts the same year (2015), and nobody expects him to be an easy baseball sign. He would likely step right into the starting lineup with whatever NFL team drafts him; in baseball, he would have the humbling experience of the minor leagues. On the other hand, he has a better chance of not being crippled after his playing days if he goes with baseball. 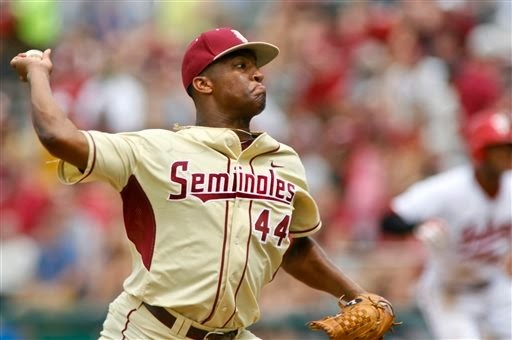 Even if Winston is serious about baseball, I think baseball would have a better shot at landing him if it weren't for the draft spending rules put in place two years ago. It will likely take serious cash to buy out his football ambitions, and those same football ambitions will discourage teams from using a high pick to claim his baseball rights. 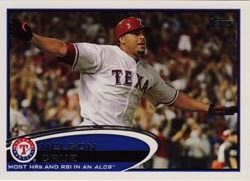 Then there's Russell Wilson, quarterback of the Seattle Seahawks and, officially, a minor-league infielder in the Texas Rangers system. I say officially because Wilson, who played two seasons in the Colorado Rockies system (hitting .229/.354/.356 in 93 games in A ball) hasn't played baseball since 2011. An outstanding quarterback, but not a major league prospect, much less a major league player. The Rangers claimed Wilson in the minor league phase of the Rule 5 draft in December, and apparently the quarterback is expected to come to spring training. This appears more likely to be a speaking engagement than an athletic endeavor, however. and not at the plate. Incumbent shortstop Pedro Florimon said during TwinsFest that he had been told going into the 2013 season that he was the Twins shortstop. He also said he had not been given that assurance this winter. And he shouldn't be a sure thing. Florimon was one of the better defensive shortstops in the majors last season -- by Baseball Info Systems' runs saved and plus minus metrics, he was probably the best in the non-Andrelton Simmons division -- but his offensive numbers were awful (.221/.281/.330). Rermember: The Twins were near the bottom of the AL in runs scored. They can't easily afford to give up a lineup spot. But who else might the Twins turn to to man the position? Florimon is clearly Option A still, but there are two other possibilities on the 40-man roster, and one not on anybody's roster. Option B: Eduardo Escobar. Like Florimon, Escobar is a switch hitter with a good-field no-hit reputation. 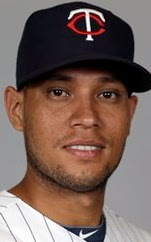 .He is two years younger than the incumbent, and he did have an impressive batting line in Rochester after the Twins sent him down at the All-Star break (.307/.380/.500). If that slash line were valid, Escobar might well be a better choice than Florimon. The problem is, those two months aren't backed up with any other indication that he can hit. Option C: Danny Santana. He's hit for good averages in High A (2012) and Double A (2013); Baseball America listed him as the Twins' No. 7 prospect and as the best defensive infielder in the system. I'm less optimistic about him. I see chronic problems in controlling the strike zone. Last year, at New Britain, he walked 24 times and struck out 94 times. He's had that kind of ugly ratio at each level. I have trouble imagining how he's going to keep hitting .280 and higher with that poor ratio. As for the defense, he commits a lot of errors. While the Twins claim the boots are because of his superior range, it's pretty clear he's muffing routine plays as well. Maybe he really is a future regular. Even if he is, I doubt this is the year for that. I see Triple A for him. 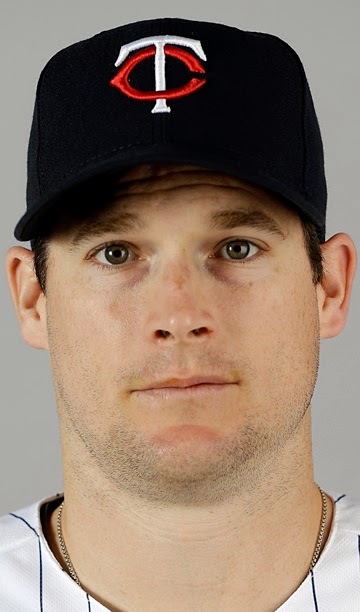 Option D: Free agent Stephen Drew. The regular for the Red Sox last season, Drew remains on the market in large part because (a) he will cost the signing team a draft pick; (b) his agent is Scott Boras, who is, to be charitable, a patient negotiator insistent on top dollar; and (c) teams may well be wary of Drew's injury history. Drew is 30. He played 124 games (plus the postseason) last year; he was limited to 86 and 79 games the previous two seasons. The Red Sox, with Xavier Bogearts ready, appear more interested in collecting an extra pick than in retaining Drew. There is, I'm sure, a combination of price and contract length at which Ryan and Co. would be willing to give up that pick. I don't know that Boras is going to agree to something so team-friendly that Ryan would agree to it, but Drew doesn't seem to have a lot of options right now. Part of this equation may well be how highly the Twins really regard Santana. If they truly view him as the shortstop of the future, splurging on Drew just gets in the way. If they have the same reservations about Santana that I have, Drew makes a lot more sense. I'm pretty sure the Twins don't regard Florimon or Escobar as long-term solutions at short. Former Twins shortstop Jason Bartlett will be in camp as a nonroster invitee, but I can't see him as a serious possibility. Bartlett is 34. He hasn't played well since 2010 at the latest and hasn't played at all since the first month or so of 2012. The Twins don't really have anything invested in him, and they won't get anything out of him. This is a critical, career-shaping season for Trevor Plouffe, the incumbent third baseman. The Twins are waiting on Miguel Sano, and the Dominican's arrival will be on his own timetable. Nothing Plouffe does is going to delay Sano. Sano's elbow is probably the biggest question mark, but if it's as sound as the Twins seem to think it to be, Sano will be in Minnesota by midseason if not sooner. And then what for Plouffe? He played his way out of the middle infield in 2011. He was supposed to shift to the outfield in 2012, but Danny Valencia had a career crisis of his own and Plouffe stepped in at third base and enjoyed a brief but remarkable power surge that ended with a hand injury. His bat regressed in 2013 even as his shaky defense at the hot corner improved. Plouffe is, today, a 27-year-old with 1,351 major league plate appearances and a career .240/.300/.411 slashline. His OPS+ is five percent below league average. And with arbitration having kicked in, he's not exactly low-priced either. There's not much there to recommend him. When Sano is deemed ready, Sano will be the third baseman. Plouffe is not good enough to block the prospect. Plouffe's track record says he not productive enough a hitter to be a regular corner outfielder. The same is true of first base, which is blocked by Joe Mauer anyway. We do know Plouffe's defense in the middle infield won't work in anything other than an emergency role. One can imagine him as a corner outfielder, at least after Josh Willingham and/or Jason Kubel are gone (both are signed for 2014 only), but he's got to hit better than he has. One can imagine him in a super-utility role -- filling in at third base, corner outfield and first base while the regular gets a semi-day-off as the DH, and doing some DHing himself. Or maybe a team with a hole of its own at third base would be interested in trading for Plouffe. The ideal use of Plouffe may well be as a platoon player. His career OPS against lefties is about 180 points higher than against righties. He and Kubel (as a DH/outfielder) would be a pairing out of an Earl Weaver dream. But the Twins, or at least Ron Gardenhire, actively resist such leveraging of strengths vs. weakness, so that's not likely to happen. It's the 1950s. The Boston Red Sox are breaking in a new shortstop, Billy Klaus. Klaus has a hot streak, bopping three homers in a week or so, and Ted Williams decides to take him down a notch. "Hey, kid," the Thumper asks, "how many home runs did you hit last year at Minneapolis?" "Yeah? I remember I hit 21 homers at Minneapolis," Williams responds, giving Klaus' chest a moment to swell before adding: "and 22 more on the road." Brian Dozier (2) brings one of his 18 home runs home. minor league seasons combined (16). There will be no spring training suspense about second base for the Twins. With the 50-game suspension of Eddie Rosario kicking in at the start of the season, the only way Brian Dozier won't be the regular this year is if he gets crippled. But Dozier, 27 in May, is a prime yardstick by which to measure this team's progress. He spent most of 2013 hitting in the upper third of the lineup: leadoff after Aaron Hicks failed so emphatically there in the first month, second when Ron Gardenhire opted to return Joe Mauer to the third slot, third in September when Mauer was sidelined, Justin Morneau traded and Josh Willingham hobbled. Dozier hit .244/.312/.414 with 18 homers — dead average by OPS+. That's fine for a good defensive second baseman, which Dozier is. But it's not productive enough to justify 620-plus plate appearances. The Twins were 13th in the 15-team American League in runs scored in 2013, a ranking that cannot be over emphasized. Dozier was part of the problem. Or, more specifically, the fact that Dozier was justifiably in the top third of the lineup was part of the problem. The Twins won't be a good offensive team until Dozier is hitting in the bottom third of the lineup, not the top third. If he's hitting 1-2-3, it means either that the rest of the lineup is as bad as it was in 2013 (pretty darn bad) or that the manager is constructing a substandard batting order. My guess is that in April, Dozier will be in the upper third, for reason No. 1. We should hope that as the wave of talent arrives, Dozier slides to a more appropriate lineup slot.